NOW SELLING! CALL FOR AN APPOINTMENT! 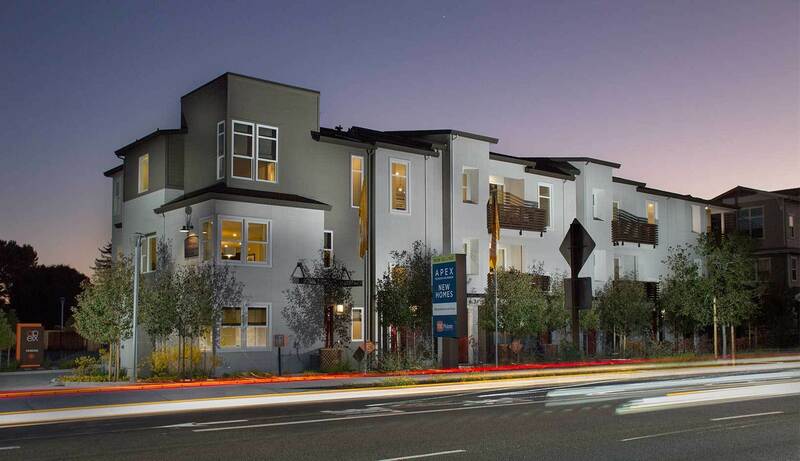 Apex at Mission Stevenson brings fresh thinking and high style to the foothills of Fremont. Located southeast of the San Francisco Bay, and exceptionally convenient to several large employers, Apex at Mission Stevenson creates an urban village that is friendly and inviting. Chic townhome-style condos and flats present five distinct designs, include two flat style floor plans, that bring together today’s most sought after trends. Homes will offer approximately 1,023 to 1,848 square feet, with choices of 2 and 4 bedrooms, 2 to 3.5 baths, and 2-car garages. Several plans feature imaginative flex space and many personalizing options. The bright, open interior spaces create a sense of freedom for self expression, and generous spaces for entertainment. A moments walk from the front door, green open space and an imaginative tot lot let families enjoy life in the great outdoors.